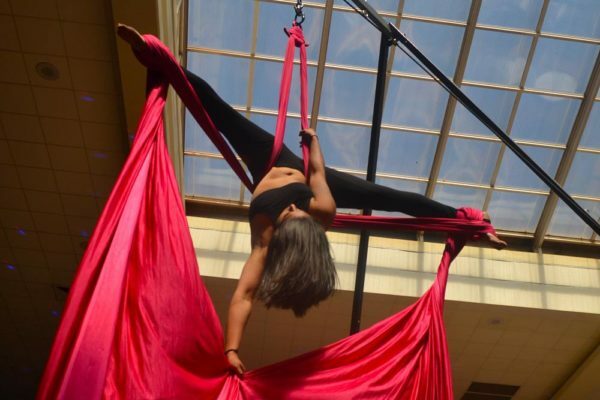 Aerial Silks have become increasingly popular with the awe and intrigue that popular circus groups have brought to the forefront of modern entertainment. 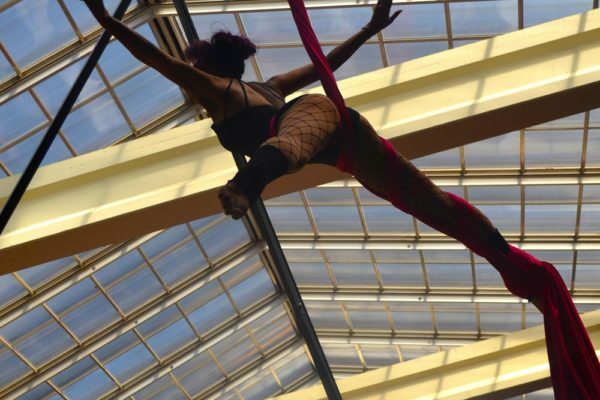 It is a beautiful, elegant, and acrobatic art form that entrances the audience and intrigues the mind. This is an artform that also creates a high degree of fitness and strength. 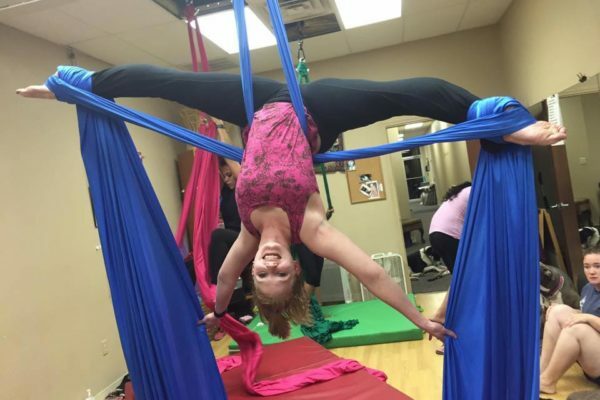 All of these elements have made aerial silks a popular fitness class in Lubbock. 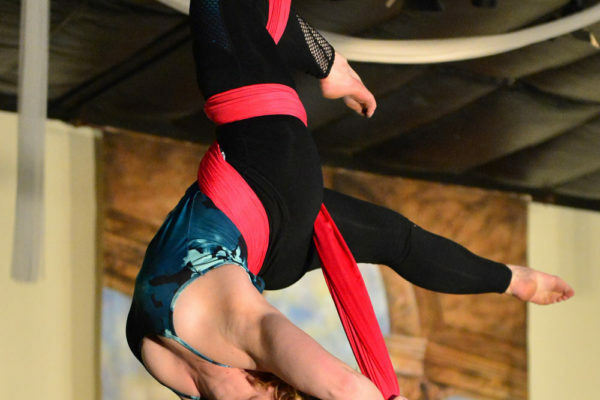 This aerial silk fitness class is a whole body workout while it builds the fundamentals of aerial silk artistery. Each class begins with strength training, building strong arms, shoulders, and core. This is followed by techniques and combinations that raise the heart rate and burn calories. Each class ends with stretching for flexibility and injury prevention. 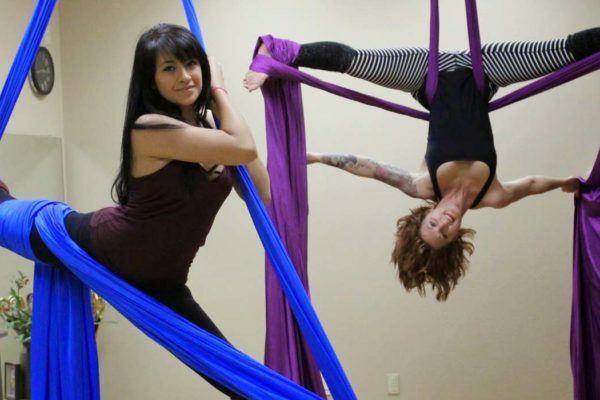 TThis class is an energetic and fun way to workout. It is a daring way to quickly change your body and way of thinking. 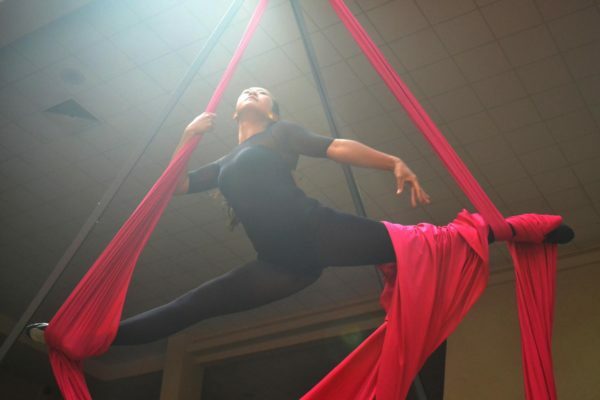 Experience the freedom of flight, elegance of dance, and strength building all at the same time. 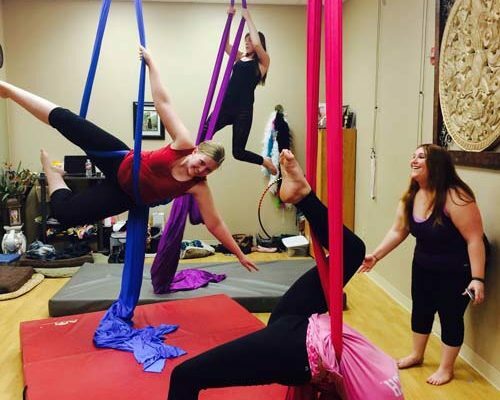 This enjoyable class teaches you the fundamentals of aerial dance while letting you forget you’re actually working out. 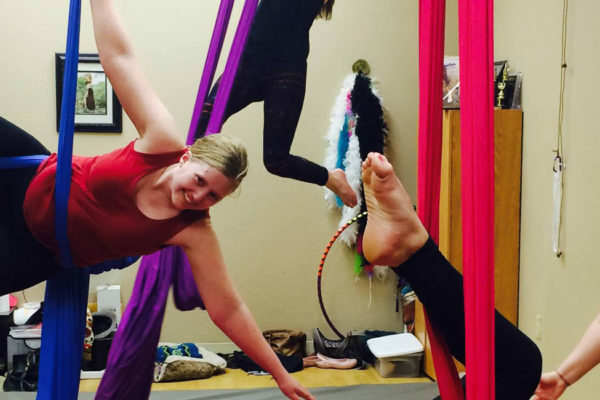 Aerial silks classes can seem intimidating, but this one is taught in a fun environment with a focus safety and injury prevention. Our first concern is for the safety of our students. The curriculum is format for the beginner with no experience or upper body strength. It is taught a floor level for the beginners safety and the can be moved higher as the degree of ability increases. 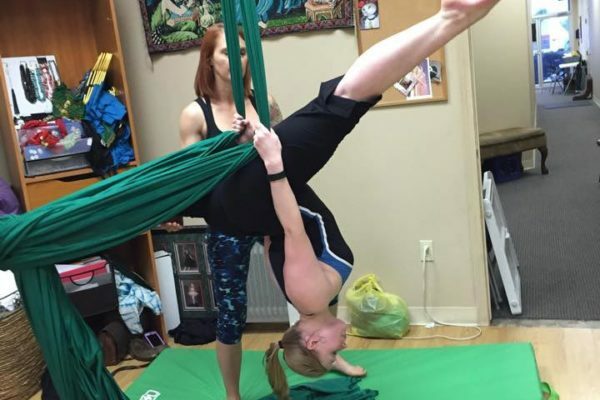 We offer varying degrees of difficulty in order to provide the student with a level system, in which they can easily build strength while being able to accomplish techniques and combinations at any fitness level. Student learn climbs, wraps and drops in a way that is attainable for each student. The end result is a student who can easily create moving art by negotiating the fabric with ease and grace.